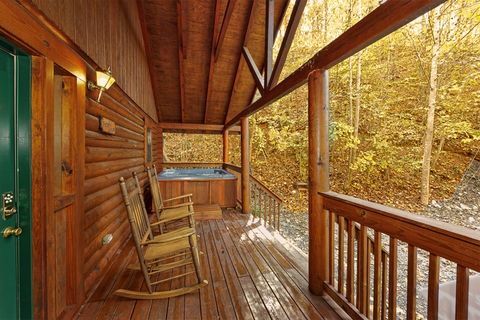 A picturesque Smoky Mountain honeymoon cabin, "A Peaceful Getaway" offers vacationers plenty of space to relax and enjoy romance in the beautiful Smoky Mountains. 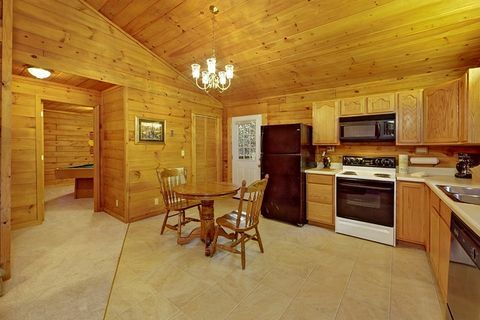 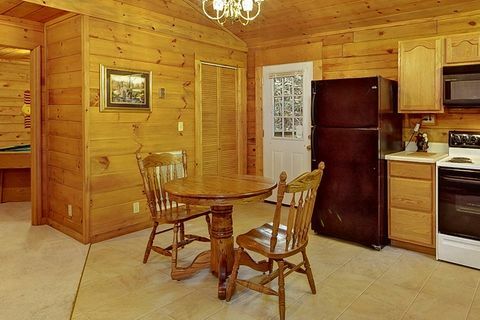 Whatever romantic getaway brings you to the Smokies, this East Tennessee cabin rental offers the perfect lodging for you and your sweetheart. 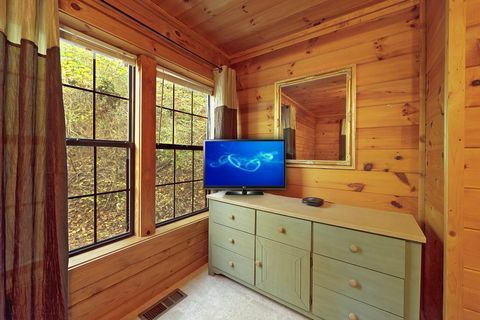 Located on a forested lot in the Smoky Mountains, this quaint private honeymoon cabin rental allows couples to enjoy plenty of peace and privacy. 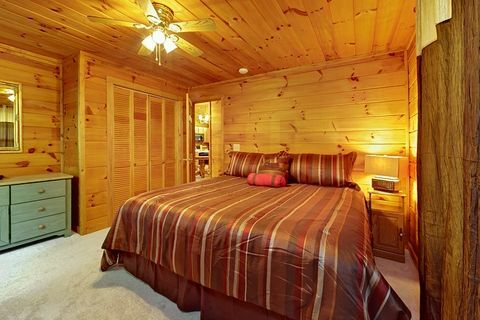 Your cabin's bedroom offers a king bed and TV for the perfect mountain oasis. 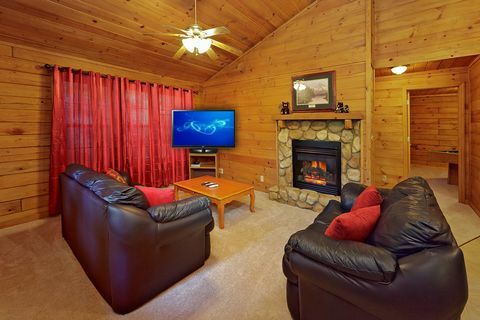 The comfortable living room offers guests a sleeper sofa and a gas fireplace for cold winter nights. 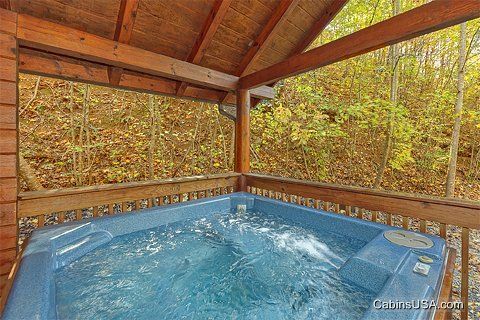 Enjoy a relaxing dip in the warm waters of your cabin's hot tub. 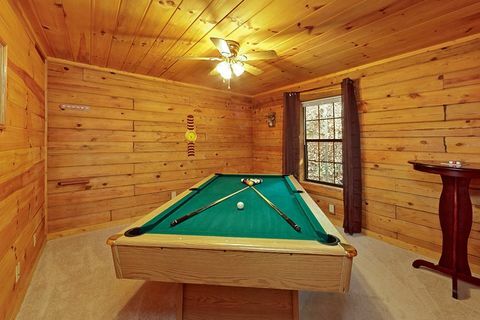 This Smoky Mountain honeymoon cabin comes complete with other amenities: a game room with pool table, free WiFi Internet, fully equipped kitchen, outdoors charcoal grill, washer-dryer and more. 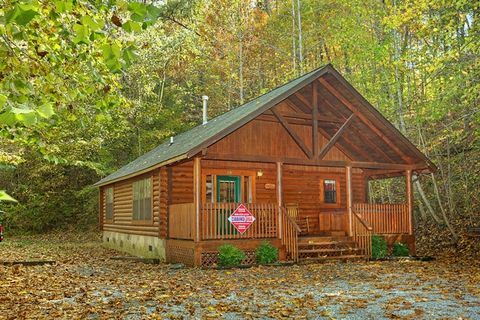 This private honeymoon cabin rental rests only minutes from all the top restaurants, attractions, and shopping of the action packed Pigeon Forge and Gatlinburg as well as the natural beauty that awaits at Great Smoky Mountains National Park. 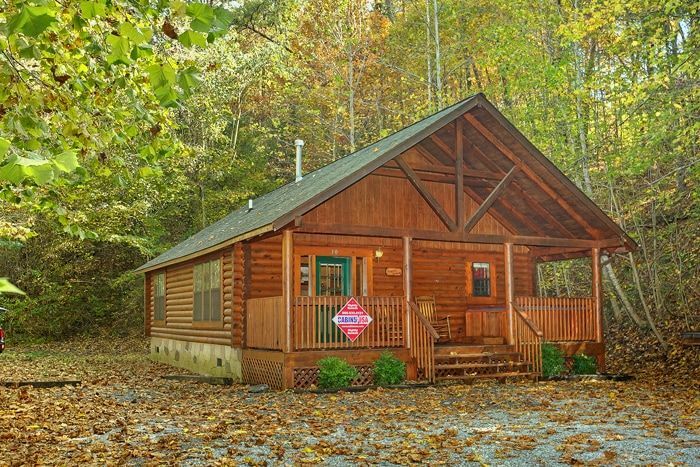 Reserve this Smoky Mountain honeymoon cabin online with Cabins USA and receive an immediate Online Cabin Special!